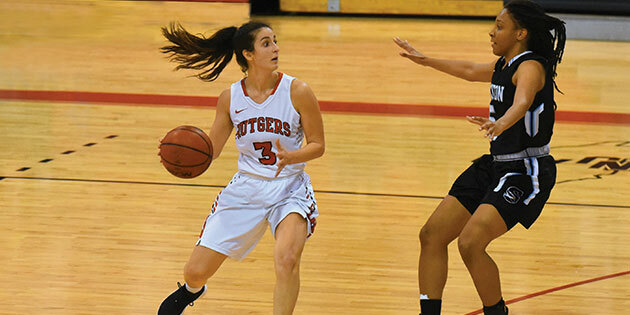 Of the more than 100 games that Gabby Greene started during her four years in a Scarlet Raptors uniform, one in particular stands out—the night she sank 11 three-pointers. 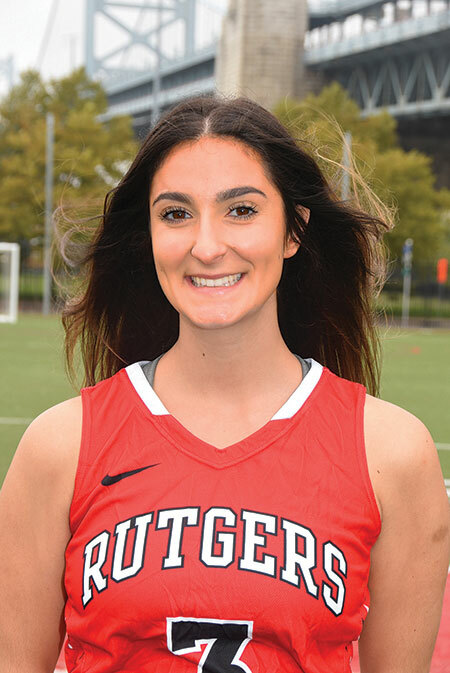 “It felt like every shot that I was putting up was going in,” she said of the game against Rowan University in January 2017. 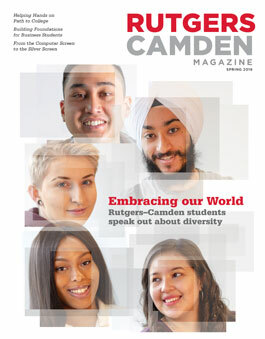 That exceptional statistic, which set a Rutgers University–Camden women’s basketball record for most three-point goals in one game, sits alongside her many other accomplishments etched in the record books: Greene is the program’s all-time leader in three-point goals with 280 made and in three-point shooting accuracy with 33.7 percent made; she is fifth in all-time scoring with 1,295 career points; she is fifth all-time in steals with 231; and she is seventh in assists with 263. 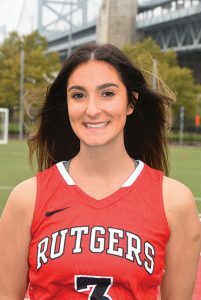 She started and played in a total of 103 games, and is one of only six Rutgers–Camden women players to play more than 100 games. Greene, who stands 5 feet, 4 inches, has competed and achieved against many much taller players. “My speed beats height every now and then,” she said. Her consistent play helped the team to post winning records for four seasons in a row, including a 15-11 record in her final year. “Gabby Greene is a diamond in the rough who helped to turn our program around,” said Annette Reiter, coach of the women’s team for the past six years who recruited and coached Greene. Greene’s older sister, Samantha, also attended Rutgers–Camden, transferring to the School of Nursing and earning her degree in 2017. Greene, who did an accounting internship last summer, plans to take the CPA exam after she graduates and hopes to land a position with a major accounting firm.